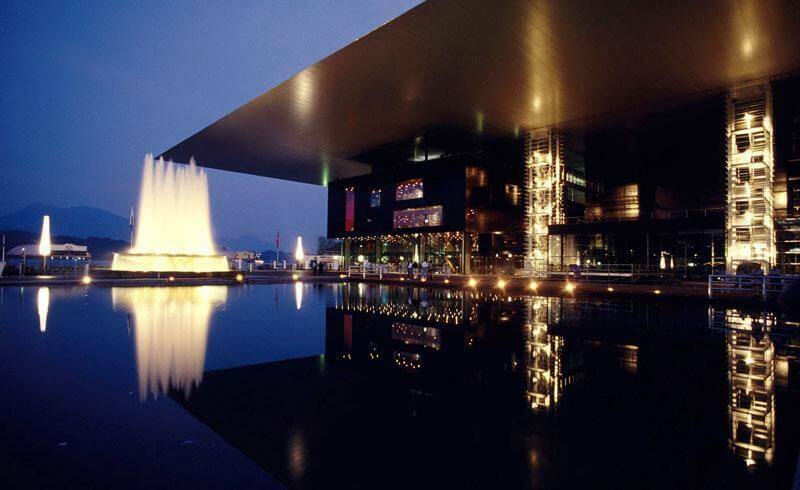 Every summer for 75 years, the Lucerne Festival has taken over this popular city in Central Switzerland. Once all the dust has settled from the open air concerts and street parades of summer, the festival's pianos, trombones and violins proceed to amuse the public. Situated at the foot of majestic Mt. Pilatus, Lucerne appears to be a perfect fit for a festival celebrating classical music. I would imagine that for a musician, the Chapel Bridge, the historic old town with the famous Lion Monument, and the glittering lake are all sources of inspiration. This year, orchestras and conductors, vocal and instrumental soloists, and ensembles from every corner of the globe have gathered in Lucerne once again. Since 2013 marks a special anniversary in the festival's history, celebrity aficionados have sent in greetings to the organizers, including violinist Joshua Bell and Swiss icon Roger Federer. New on the program this year was a musical format attracting younger generations: As part of "Lucerne Festival 40min", renowned musicians would perform and explain their acts to the audience. Due to the attractive location and unbeatable admission fee (it was free), this part of the Lucerne Festival has quickly become popular. So, let's put our hands together and wish them all the best for the next 75 years!